Our motto as dedicated locksmiths in Staines is to provide you with a variety of options to keep your home safe. From our 10 years plus of experience in home security upgrades all around Surrey, we can tell you without any doubt that there is no budget too low to make your home a safer place. We at Staines locksmiths understand that high security locks are not cheap, and one upgraded lock won't make a fortress out of your home, but it's a start. Our well trained technicians will spot the weakest point in your property and will try to offer you a solution most suitable for your specific circumstances and budget. We take pride in the fact that due to dozens of home security upgrades performed during the years, Staines locksmiths can make your home safe within any budget - we will repair and re-key your old lock or install new high security locks if necessary, but you will always have a wide selection of branded and non branded security systems to choose from. 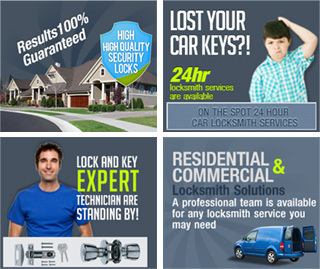 How to save money on residential locksmith services? Many will say that it's not a good idea to try and save money on the safety of your home, but there are many ways to make your property safer without leaving you broke. While you shouldn't just look for the cheap locksmith option, a professional and honest locksmith in Staines will always suggest a money saving tip if the owner's budget is a bit tight. Have you heard of a rekey service? Where this is possible, it can be quite a good way to save a few pounds on a new lock. If you're afraid that the keys to your home might have fallen into the wrong hands or you are just unsure who exactly has a copy, there is no need to replace your front door lock. A professionally done re-key service will do the job. The lock will be "reprogrammed" to fit a new set of keys, which will be handed to you once the installation is complete. If your old lock is damaged beyond repair and a new lock must be installed, a branded British Standard lock is always a good choice. But if you can't afford an expensive new lock at the moment, it's better to install a non-branded good quality lock rather than leaving your home without any protection.